It’s been a frantic first four months into the job for David Hopkin. But as fixture clashes left the Bradford City manager with a first blank weekend since his appointment, this mini mid-season break will have allowed him to take stock of progress and to plan the next steps of reviving the Bantams. The bounce that Hopkin and Bradford City have experienced, in the wake of Edin Rahic’s confirmed departure, has been truly remarkable. In the seven subsequent games, an amazing 20 goals have been netted, 13 points have been gained from a possible 18, and four clean sheets have been earned. The free-flowing, gung ho approach has seen City produce arguably their best football in decades. Narrowly shading Stuart McCall’s 2016/17 side for its more clinical edge. Talking to staff behind the scenes on a matchday, you get a true appreciation of just how overbearing and difficult Rahic must have been to work for, and why his dictatorial approach cast such a dark shadow over the club. People didn’t feel empowered or trusted to do their job. The players were said to have been affected by the fall out between owner and fans. And for Hopkin it made for an almost impossible job trying to turn it around. In contrast there is now a clear and strong spirit in the camp. Staff feel valued and respected; entrusted and supported to make decisions. Within the playing squad, there is a buy-in and belief in Hopkin’s ways, and his approach is paying dividends. Hopkin inherited a squad that was too large, especially as Rahic’s cost-cutting decision to axe the development squad has meant there is no reserve team football. But rather than allowing damaging cliques to breed, Hopkin has made subtle changes. On a match day, the players now all meet up at Valley Parade earlier to have a pre-match meal together. On the training ground, a pool table has been removed to send a clear message that this is a place of work. And when it comes to leaving the training ground dressing room and heading to the Woodhouse Grove pitches each day, the squad are all required to walk together rather than in twos and threes, again to avoid cliques forming. Not everyone, it seems, has bought into Hopkin’s approach. The fact recent substitute benches have featured youth players, when there are senior footballers fit and available for selection, tells its own story. Expect to see departures over the next few weeks: a symbol of how well Hopkin’s philosophy has been embraced by the majority, and a typical side effect of any recently installed manager shaping the squad how they see fit. But how high the recent bounce can take Bradford City, and how long it will last, are still to be seen. There is giddy talk from some that relegation will be comfortably avoided, and that even a play off push can’t be ruled out. City are certainly playing with the swagger of a top of the table side right now, but the old saying of walk before you can run remains apt. Staying in League One remains far from a given. Whilst City’s predicament is vastly improved from the seven points adrift they had been in November, over the weekend a victory for Stuart McCall’s Scunthorpe United placed the Bantams back into the bottom four. It has become very competitive at the bottom, with many twists and turns ahead. A few weeks ago, it appeared that City, AFC Wimbledon, Plymouth Argyle and Bristol Rovers were becoming cut adrift from everyone else. But all four sides have managed to find some form over the Christmas period, closing the gap on the other stragglers. That upturn saw Scunthorpe in particular dragged into the bottom four, but now they have won three in a row to climb out. Oxford are the latest club to be sucked under the wrong side of the dotted line, and Gillingham, Rochdale and even Shrewsbury are looking nervously over their shoulders. It is tight in the middle and even ninth-placed Burton are only eight points ahead of the Bantams. Had City not experienced their December bounce, we really would be in trouble. Recent form has been spectacular and rightly fuelled optimism about the future, but there is still a long way to go. The upturn in form is also over a relatively short-term period. Certainly too short of a timeframe where we can realistically assume it will continue for the rest of the season. The only defeat over recent weeks, at Sunderland, saw enough referee injustice to feel like a real set back. But at some stage there will be a more emphatic defeat, which will test the recent collective spirit of everybody. Will the bounce continue? Or will old frailties re-emerge? A clear threat to recent progress is the uncertain future of Jack Payne, who newspaper talk suggests is the subject of serious interest from clubs with a stronger league position and greater financial resources. Should bids be forthcoming to Huddersfield, the matter is completely out of City’s hands. One wonders if Stefan Rupp – who it is said is keen to support the clear up of the mess Rahic left behind – might be tempted to make an enquiry into buying Payne. But with the legacy of the money issues Rahic’s dismal leadership has created, and the likely high wages Payne can command, the numbers probably don’t stack up. A shame, but City’s hands are probably tied. 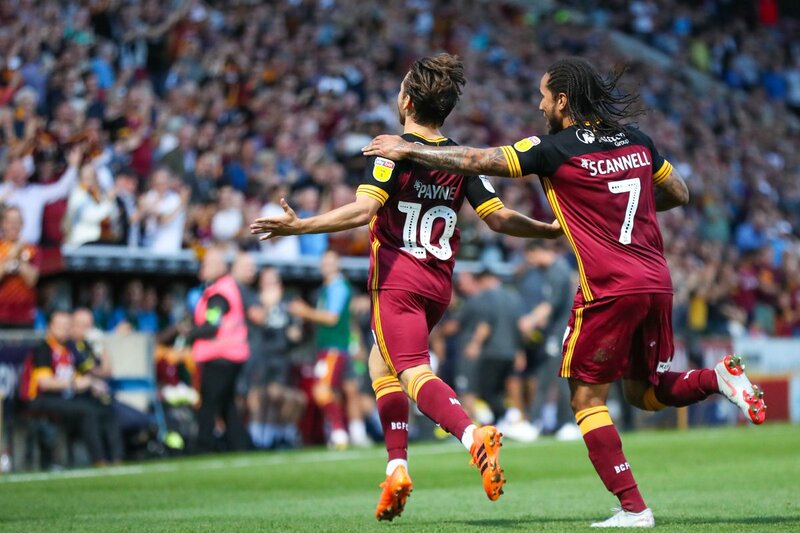 Bradford City’s on-the-field bounce is the result of some 15-16 players right on top of their game; but Payne clearly remains the jewel in the crown. He has been terrific for Bradford City, and his influence has only grown as the Bantams have improved. It will be a real test for Hopkin if Payne were to leave. There are always other answers, and City will still be able to win games of football. But they might lack their current sparkle. Overall form may prove less spectacular. On Hopkin and City’s side, the fixture list looks kind. Saturday’s trip to a Barnsley side who have already beaten the Bantams twice this season is tricky. Based on Valley Parade evidence, Barnsley look the best side in the division, and remain in the hunt for automatic promotion. But after the tough trip to Oakwell, the seven games over the rest of January and February look very winnable. Getting over the 40-point mark, and closer to the all important 50-55 points needed to ensure survival, has to be the target over this period. Clearly if City can continue their recent form, they’ll have nothing to worry about. But now is not the time to be complacent. Over 2018, City endured a lot of morale and financial damage that they are yet to fully recover from. Just as quickly as doom and gloom disappeared from Valley Parade, it can return with a couple of set backs. And if that happens, it will be a major test for all of us. We’ll need to hang onto the renewed spirit and belief. The bounce that has followed Rahic’s departure is proving hugely enjoyable – but also absolutely vital. It feels like we have got our club back, that the relations between supporters and players is growing stronger, and that the atmosphere and spirit is returning to the high standards of recent years. With a continued focus on the job in hand, and a healthy transfer window, the momentum can continue to take City forwards. And with David Hopkin’s calm, methodical and inspiring management leading the way on the field, as supporters we have someone we need to stay right behind in both good and difficult times. Let’s hope 2019 proves much happier than the first ten months of last year. We should target 5 wins out of next 8 – leaving us with 42 points from 34 games and spitting distance from safety. 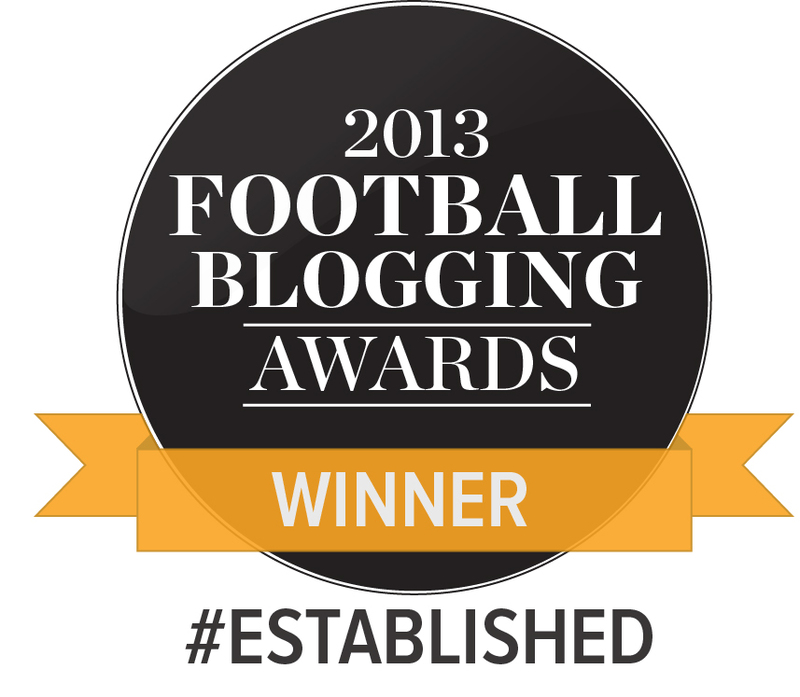 Maybe should dream on – supporting BCFC is never an easy career! I still believe if we manage to stay in lge1 DH will have done a magnificent job. Seeing the smiles and enthusiasm from the fans again makes me feel we are getting over the last 12months of total and utter shambles Rahic left behind. Julian Rhodes appointment was masterstroke by Rupp. Time to look to the future with sense of excitement. The announcement that Wright, Riley and Jones are free to leave shows City wants to sort out stuff now, rather than when they all come to the end of their contracts, and if they go the budget will improve. The problem is if they have to leave before there’s any benefit. I just hope our new signings are not dependant on reducing the wage bill. If only Payne leaves from the rest of the players there will still be 14-15 ‘…players right on top of their game..’. That’s about the same number that won the 84-85 Third Division; it’s still a very small team though. I believe Hopkins and his team might save us with the ’14 – 15′; the vastly improved fitness levels and morale will reduce the number of injuries; although that’s balanced by our disciplinary record, which is the worst in League 1; with both our centre-backs being in the top ten. If we only lose Payne and sign 3 good players I believe we will pull away from the drop. If we lose more and sign less then I’m resigned to a nervous 20 game fight agin going down; but at least there will be a fight! Something I didn’t believe possible a few months ago. I am glad, Jason, that you have sounded this note of caution or realism. City are still in trouble, and I foresee a hard battle to stay in Division One. If we do stay up, Hopkin, McElhone, Rhodes, along with Rupp himself, will deserve all our thanks. I now have hope, and didn’t at the start of December. Jason’s note of caution and realistic views is much appreciated and needed. In particular, the fans should in most part give themselves a slap on the back for there show of patience and confidence in David Hopkin. I agree Woody, the fans are brilliant, however, I am in no doubt and as Jason says, we will have ups and downs with or without Payne and we will probably go on a bad run too. I know our fans will remember the black days when we had interference from Edin and with just a shrug of the shoulders say to themselves TFT and it could have been much worse. Its great to be able to look forward to games again, and long may it continue. Once again Jason you have put into words the thoughts of the true die hard City fans.